Home | Testing Blog | Why do I need EMC Compliance? Why do I need EMC Compliance? There are a variety of reasons why your electrical/electronic products may be required to go through the Electromagnetic Compatibility (EMC) compliance process. Most industrialized nations have established agencies or other regulatory bodies responsible for defining and enforcing EMC standards. If EMC regulations exist in a country, equipment manufacturers cannot legally ship their product into that country until compliance with those regulations is met. Professional compliance laboratories like NTS understand the global compliance process and possess the accreditations and capabilities needed to perform testing and certification to meet the relevant standards in all of your target markets. There are many situations in which your customer may dictate EMC requirements. For example, if your customer is an RBOC (Regional Bell Operating Company), an extensive set of tests referred to collectively as Bellcore, are required before the RBOC will purchase your product. If your product or component will be included in a third-party product, your OEM customer will need proof that your product or component will meet appropriate regulatory standards. Your OEM customer will dictate the amount of testing and documentation they require. It is not unusual for an OEM customer to ask for compliance exceeding legal requirements. In some cases, you may want to self-impose reliability standards for your products; for example, if you only plan to ship your product in the United States, unlike in Europe, you are not required to pass immunity standards. However, you may want to establish your own immunity standards to ensure customer satisfaction by minimizing field failures. How do I achieve EMC compliance? The first step in the compliance process is to determine the list of target markets where you plan to market and sell your products. Compliance regulations vary from country to country, so an investigation of current standards is required for each market where you intend to operate. Countries such as India have no formal Electromagnetic (EMC) requirements, whereas Taiwan has a very strict submission policy. 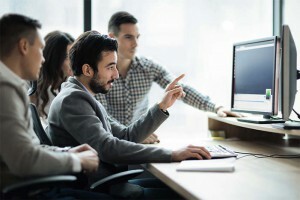 Over the past several years, regulatory agencies around the world have been moving away from agency submittal applications because they are slow and inefficient. Most government agencies now allow for self-testing and self-certification. This means that you can simply affix a CE or FCC mark to your product and begin shipping without gaining government regulatory approval first. However, self-testing and self-certification does not relieve your company from meeting the standards implied by the mark you place on your product. In fact, if you place a mark on your product when it doesn’t comply, it could result in serious consequences. 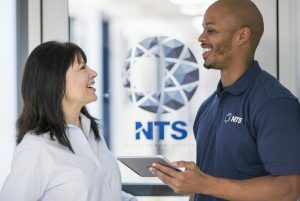 NTS has the formal accreditations to provide both the testing and the reports you need to meet a wide range of regulatory self-declaration requirements. We also create the reports that you must keep on file should an issue arise requiring proof of compliance. This is the process of having an independent party validate a product’s compliance. Third party verification adds significant credibility to a product’s test/compliance program, either for marketing or regulatory purposes. With certain types of products and in certain countries, a formal certification process may be required. For example, in Taiwan, a formal submission and approval is required, whereas the European Union might allow self-certification. In the USA a formal FCC submission, called a Certification, is required for any products designed to transmit radio signals. In addition to the testing costs to meet the relevant standards, you should also expect to pay agency submittal fees ranging from a few hundred to a few thousand dollars depending on the country and the type of product.